Philips Selecon is showcasing the new twin single source RGBW LED chip PLCyc2 and the versatile variable-beam profile PLprofile4 luminaire at this year's Frankfurt Prolight + Sound in Frankfurt (10-13 April at the Messe exhibition centre in Hall 11, stand no D73). Both will be available on stand for show visitors to get up close and intimate with. "Key to the success of the PLCyc2 and the PLprofile4 is that they use the same proven LED engines as the rest of Philips Selecon PL range and the Philips Vari-Lite VLX ranges," explains Graham Eales, general manager for Philips Entertainment. "This ensures that colour matching is simplified across the stage from all types of luminaire from the Philips Entertainment stable of brands. In addition the user interface on all fixtures is the same, ensuring easy use for the technician / operator." The new PLCyc2 delivers a smooth even beam with the capability to seamlessly blend intense washes of colour on cycloramas. LED source technology combined with a properly shaped asymmetrical reflector ensures the PLCyc2 brings consistent and powerful light distribution without the need to compromise performance by using vertical or horizontal spreader lenses. "Of course a lifetime running cost benefit of the PLCyc2 is that it's not necessary to change lamps, use gels or mix the colour on the cyclorama using multiple sources," continues Eales. "One source delivers multiple colours. Fading between colours is seamless, bringing a new level of creativity to the designer's palette. Fewer luminaires are required to cover the cyclorama which building managers and technicians will be thrilled to hear means less power and no dimmer circuits." The new PLprofile4 LED luminaire further expands the family of PL lighting fixtures and combines the same LED source technology with precision optical design. It uses four high-power, RGBW LED chips to deliver endless colour options along with precise beam control and pattern projections. "A key driver in the development of the PLprofile4 luminaire was our desire to deliver a beam and quality of light that professional lighting designers get from their much loved incandescent luminaire," explains Pete Borchetta, product marketing manager for Philips Entertainment. "We feel we have achieved this." The PLprofile4 luminaire features four 120W RGBW LED chips which convey over 6,000 lumens of output while delivering limitless colour options and variable colour temperatures from 2300K to 9970K in white. 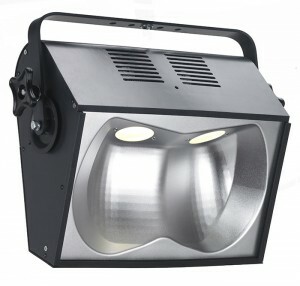 The LED chips offer the same colour mixing and calibrated white presets as all other PL family products. 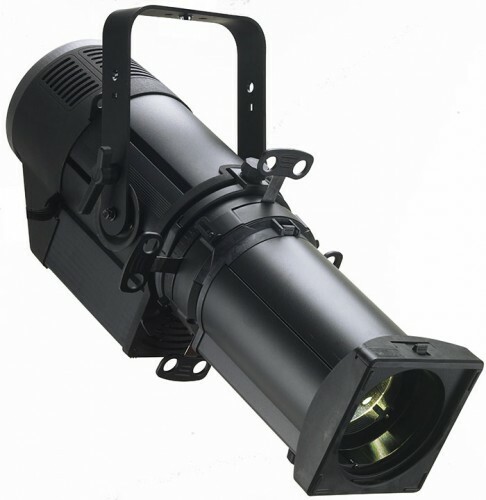 They also come complete with wireless DMX512 options compatible with Wireless Solution W-DMX, Lumen Radio, or City Theatrical Show DMX512 transmitters. The on-board LCD menu allows for easy luminaire set-up and addressing, and the PowerCon in and through connectors ensure simple installation. And for further creative options the PLprofile4 features interchangeable lens tubes, 360-degree barrel rotations and locking shutters and is available with seven optical systems including 15- to 35-degree and 25- to 50-degree Zoomspots, plus 14-,19-, 26-, 36-, and 50-degree fixed beams. Philips Selecon has also announced that although the PLCyc2 is being released for the 230 volt market that it will be released later this year in North America.